Legendary Twin Cities musician James Samuel “Cornbread” Harris Sr., was inducted in the Minnesota Blues Hall of Fame in 2012, and won a Sally Award in 2014. Harris is a singing pianist-composer, and is the father of well known music producer Jimmy Jam Harris. His earliest influences were in country music, citing Hank Williams Sr. and Gene Autry among his favorites. Cornbread began learning piano at the age of 13, but quickly grew tired of having his hands slapped with rulers by "the nuns" and he quit. 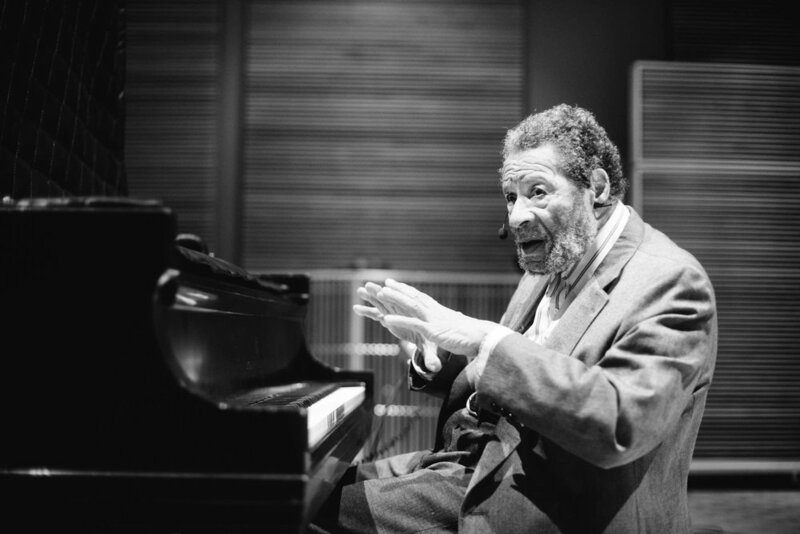 After serving in the US infantry during WWII, Harris hit the piano once again in his early twenties, was all about the Blues, and kept on playing. An early career highlight for Harris was a collaboration with Augie Garcia in 1955 to record “Hi Ho Silver”, the Twin Cities first rock and roll record. Now at an energetic 90 years of age, Cornbread is more active than ever in the local music scene. He plays several regular weekly and monthly gigs, and now incorporates jazz into his vast repertoire. He can be seen performing solo, or backed up by his band, "Cornbread Harris And Friends”. Harris is full of life and always hopeful for the future. This shines through in his original music, stage presence, and priceless sense of humor.